When you experience an accident and are injured due to the negligence of another, it can be a life-changing event. From car and truck accidents to medical malpractice, the injuries you have suffered can leave you emotionally exhausted and your bank account drained dry. Filing a personal injury claim is important to protect your rights. Doing so allows you to seek compensation for your injuries and financial losses. Whatever the cause of your accident, a Mountain Home personal injury lawyer from Craig Swapp & Associates can advise you on the legal issues surrounding your case. One of the most important things that your Mountain Home personal injury lawyer will do for you is to make certain that all of your damages and losses are taken into account by your end settlement. All financial losses and noneconomic damages that you endure because of your accident need to be compensated by those responsible. Most notably, this means that all of your current and future medical bills should be covered by the money you receive. Any lost wages and income, caregiver expenses, transportation costs, property damage, and anything else that has cost you financially will also need to be factored in. Finally, your Mountain Home personal injury lawyer will work closely with you to determine what noneconomic damages you have incurred. This means that your pain and suffering and any other ways that your injury has damaged your quality of life should result in additional compensation. Personal injury law is also known as tort law, a type of civil law that holds someone liable for injuries suffered through negligence. There is a vast array of accidents that fall into this category. Have you suffered an injury in Idaho as a result of someone else’s negligence? If yes, a Mountain Home personal injury lawyer can help you recover the damages you rightfully deserve. 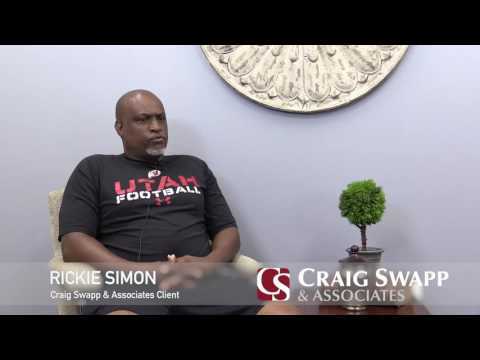 The lawyers at Craig Swapp & Associates will aggressively fight for your rights. We care about your case, and it’s our goal to obtain the best possible outcome for you and your family. Contact us today to discuss your claim. We will help you understand the details of your case and the steps necessary to move forward. Our consultations are always free with no obligation whatsoever. Call 1-800-404-9000 or fill out the form below to meet with a Mountain Home personal injury lawyer.